Discussion in 'Retail Refillers Forum' started by sukhera, Mar 4, 2012. I have refilled my HP Q2612A. But now I am facing a problem. After refilling my first 6 to 8 pages printed with light dark background. After that it become OK. Please send me probable causes. May be the drum got dirty....? any of the remaining toner left in the cartridge before attempting to refill it with the new toner. 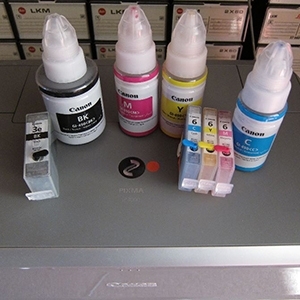 Old and new toners dont mix very well and can cause the printer to output grey text.. But I have cleaned out remaining toner very well.